Steve Cuvala gave the Treasurer’s Report Program Funding year to date ($565.02) and Doug Bradetich reviewed the 2017 Budget against actual income and expenditures as of December 31, 2017. All expenses are in line, Cash balance is currently $28,097.66 in the positive. Steve Cuvala was wondering what was the difference between Host Gator, Godwin (our maintenance for website) and Go Daddy. Approval of Q4 2017 Treasurer Report John Lillehaug approved and Doug Bradetich seconded. Motion carried Unanimously. Treasurer Report as of January 16, 2018 balance $26,784.00. John Lillehaug moved and Doug Bradetich seconded to approve the Treasurer’s report as presented. The motion carried unanimously. Janet Funk will represent IDTFC at the UI Nursery for landowner seedling needs. U of I Seedling would like a 20-minute presentation, since they have not heard of or knew what Idaho Tree Farm Program is. Janet has provided them some information to the UI Nursery Committee and read through it with the ITFC. Russ Hegedus volunteered to give a presentation, since research is vital to Idaho Tree Farm. A few general observations discussed were: There’s various outlets for seedlings. It’s a person choice where they would like to get their seedlings. Larch seedlings are the hardest to get. Communications Chair Erin Bradetich updated the Committee on communication efforts with Tree Farmers. Erin Bradetich currently working on the next newsletter for distribution. There were 4 sets of post cards sent out about 250. Project Learning Tree had 21 workshops. Each year roughly 400 preK-12th grade teachers and youth leaders participate in Idaho PLT professional development workshops. In 2017 there was about 24,500 Idaho students reached by the educators. There was 18 Grants issued to teachers. E-unit, making it handy for teachers. Additional opportunities include Sustainable Forestry Tour for Teachers and Counselors, Forest Products Week Essay Contest, Arbor Day Student Photo Contest, Papermaking and Forester tools lending kits, Forest Education Grants, social media, and Natural institutes websites are increasing. One sponsor, Idaho Fire Wise is backing out, is not coming through with $3000.00. PLT would like ITFP to donate $2000.00. There are also additional Funding partners include the IDL, US Bureau of Land Management, USFS, License Plate Fund, and various grants. IFG supplements’ when needed. PLT under SFI now, it was suggested maybe SFI would donate and suggested PLT should approach ALC and individual loggers. Janet Funk moved to table on donation until Jane brought more information regarding who will donate. Sean Hammonds Second the motion. Motion carried. Russ invited Mr. Sehlmeyer but he wasn’t able to make it. The cost for the tax return will be estimated about $150.00. Russ suggested that for legal description enter Township, range, section & the RP#. It was discussed that a person cannot always find the piece of property just with that information. Monthly, Washington will be sending out ATFS Data Quality Report. Russ asked everyone to look at the hand out for F.O.R.I., Idaho really doesn’t’ have F.O.R.I. but the landowners are in the driver’s seat. It’s based on the inspectors’ perspective and given the size and scale of the individual landowners’ property and scope of landowner’s objectives on their property. Tim Schaffer has assigned his requires for District 2. John Lillehaug has the required done for District 3. Andy Eckberg is going to contact the inspectors for District 1. Russ informed the committee that there’s an opening available as the inspector Training & Recognition Committee Chair. The inspector cannot charge a tree farmer but can get a donation. Doug Bradetich suggested that they can put the opening in the newsletter. i. 2018 NLC will be held in Albuquerque, NM Jan 31-Feb 2nd. Sean and Russ will be in attendance. This year’s theme is “Bring Our Impact into Focus”. j. IFO/Tree Farm annual Moscow Winter Meeting March 25th-27th, 2018. 1. TFOY Kroetch, LOTY Luke Peterson-Northwoods Forestry, IDTY Steve Cuvala signs engraved. Russ asked, Steve Funk to help with the signs and he agreed. Steve will plan for 3 smaller signs & 1 big sign. Sean Hammonds is going to check for the correct spelling for all plaques. There’s a travelling plague for the Tree Farmer of the Year, it goes to the nearest IDL office but no one was certain what location the plague was last. Mary Fritz and Steve Cuvala are going to check at their offices. 3. At the ITFP annual meeting in Moscow, there will be a no host bar for the award ceremony and then dessert hour for the Idaho outstanding award recipients. k. Thanks to Mary Fritz good efforts a donation should be made to IDTF from Joyce Thompson, a retired USFS employee on the Nez/Clearwater whose father passed away & wants to leave a donation to a forestry-based organization in Idaho. Mary hasn’t heard anything but the donation will come in the mail. l. Forestry Day at the Legislatures is Jan. 24th, Wednesday & John Lillehaug is putting this on. John said, the Legislators come for Lunch & visit. Displays will be set up. John said, he doesn’t need a lot of help. a. VOTE ON CHARGING ACTIVE TREE FARMS $10 A YEAR. Russ reminded the committee that as a certified program, we will be assessed by National ATFS a few of $10.00 per Tree Farm to help cover 3rd party auditing. We are required to have an economic plan in to them by 12-31-18 detailing how we will cover this cost and he suggested instituting a $10.00 annual fee to each Tree Farm. Detailed discussion by the committee ensued on this proposal. Consensus was that a fee system of some sort needs to be started. John Lillehaug believes if Tree Farmers are charged $10.00 per tree farm in his area, the tree farmers might opt out of the program. Doug Bradetich suggested we need to inform the Tree Farm members ahead. Erin Bradetich & Doug will inform tree farmers about the fee structure in the winter newsletter. Janet Funk thought there needs to be more incentive to belong to the tree farm. Russ will ask, if there’s any other options while he’s at the National Leadership Conference and report back at the April ITFC meeting. Janet moved to table the vote on charging the $10.00 until the meeting in April. Kurt Koetter seconded the motion, motion carried unanimously. b. IFG TO CHANGE LANDOWNER CONTRIBUTIONS FOR CERTIFIED WOOD. After the Forum, Russ will be addressing the SFI-SIC with the ITFP annual report. He will be requesting additional funding to help with rising administrative costs. Depending on the outcome, we may ask Idaho Forest Group to change their $5.00 per thousand-foot Tree Farm incentive from the current $4.50 Tree Farmer and $.50 state program to $4.00 Tree Farmer and $1.00 state program. c. CHRIS SCHNEPF OF U of I EXTENSION THERE WILL BE LEAP UPDATES. There needs to be more logger outreach to Landowners. There will be L.E.A.P. classes Tues, March 20th in Lewiston, Wed, March 21st in St. Maries, & Thurs, March 22nd in Sandpoint. April 6th, UI Extension, Bonner County-Identifying Idaho Trees. President Russ Hegedus adjourned the meeting at 12:05p.m. Sean Hammond moved the meeting be adjurned. Russ Hegedus introduced the new administrator, Colleen Meek to the committee. Kurt Koetter moved and Doug Bradetich seconded to approve the Treasurer’s report as presented. The motion carried unanimously. Steve Cuvala gave the Treasurer’s Report and Doug Bradetich reviewed the 2017 Budget against actual income and expenditures as of October 16, 2017. All expenses are in line. IFG stumpage premiums will be considerably less than expected this year, 8-9k rather than expected 15k, due to inclement weather. Cash balance is currently $30,215.85 in the positive. It was suggested by Steve Funk to get 3-4 more IOTFY signs coming with estimate around $500.00 each. Sean Hammond approved and Steve Funk seconded. Motion carried. Communications Chair Erin Bradetich updated the Committee on communication efforts with Tree Farmers. Erin Bradetich and Doug Bradetich are currently working on a Fall Newsletter for distribution near the end of October. There were about 100 post cards mailed out. When the post cards are received back to the Tree Farm, the post cards all should go to the appropriate District Chair. The paper work is on its way to Boise as soon as the check is written and mailed. Annual Fall Tour Saturday, September 9, 2017 was well attended with 82 family, friends, quests gathered at the home of Kurt and Sandy Koetter, Idaho Outstanding Tree Farmers for 2017. The group toured their Wood Wizard Tree Farm with stops including PCT, fire proofing near the home, noxious weed control, and light commercial harvest. Kurt Koetter mentioned he would have liked see to some press release for more notation. Jane and Jim Thornes suggested more signs getting to the location of the Tree Farm. Jim will check with his sign maker-cost of signs with wording FORESTRY EVENT with an ARROW. Project Learning Tree is settling in with new sponsor Sustainable Forestry Initiative (SFI) having been transferred from American Forest Foundation (AFF). SFI and PLT are getting to know each other better at the national level. The next step will be for SFI Implementation Committees and State PLT program to get better acquainted. Secure Rural Schools law was not reauthorized. PLT had successfully competed for about $15,000 per year from those funds. That funding no longer exists and doesn’t look likely to return. Federal funding is uncertain right now and likely to decrease more over time. A large amount of current PLT funding comes from BLM and USFS in various ways. Jane indicated she and PLT greatly appreciate the support of all their sponsors, including Idaho Tree Farm. If ITF would like to contribute to the 2018 program, they welcome knowing by 11/15, if that is possible, so they can get things in their draft budget in time for the Steering Committee meeting. It was suggested that Idaho Tree Farm donate to PLT $200 sent to Betty Munis, director of the Idaho Forest Products Commission. Tim Schaffer approved, Doug Bradetich second. Motioned carried. Andy Eckberg indicated there have been letters recently sent to landowners and loggers regarding the assessment for the Idaho Forest Products Commission. He asked, how it is determined who receives these. Per Russ anyone that delivers logs to Idaho mills will receive the letter. President Russ announced the following recipients, which will be announced at the ITFP annual meeting in Moscow in March, 2018. Russ also let the committee know the Wood Family did not make the selection for the Regional Tree Farmer of the Year, although they continue to be an outstanding example of excellent Tree Farm stewardship and public outreach. Attending the 2018 National Leadership Conference in Albuquerque, New Mexico will be Russ Hegedus & Sean Hammonds. All National Sample Required Inspections have been assigned and most have been completed. District I have 2 left to complete. District II has 4 to complete. District III has completed all their required inspections. Optional and Pioneer – District 11 has 14 pioneers and 4 optional inspections to complete. ATFS National has offered grants to assist in bringing Pioneers up to certified status. The Committee continues to discuss potential plans to complete these. Russ reminded Colleen when 004 inspection forms have been fully completed and signed by all required parties, the Administrator will enter them into the database. Confirmation of their entry into the database will be sent via email to the Inspecting Forester and Landowner (if they’ve provided an email). A physical letter will also be sent to the Landowner’s mailing address recognizing their Tree Farm’s recertification to the updated standards. The new Tree Farms will receive welcome certificate and a letter of explanation. Laptop donated by Idaho Forest Group for the administrator. Russ informed the committee that IFG donated a laptop computer to the ITFC. IFG will provide the IT services for the computer. Idaho Tree Farm bought the software for the laptop. Changed to GodwinMarketing Communications LLC (Candace Godwin) from Host Gator Domain, there is only a $12.00 difference per year. Candace Godwin is out of Coeur d’Alene. Next meeting date: Thursday, January 18, 2017, at the U of I Extension Office in Coeur d’ Alene, ID at 9:30 a.m.
Russ reviewed how Washington and Montana are currently adding ways to come up with more monies for their programs. Washington is suggesting a set amount per Tree Farmer. Montana is on fee system by Timber Companies. He also indicated how important the Idaho Department of Lands is for our Idaho program. The IDL provides 50 percent chapter help in our field inspections and it would be difficult if not impossible to continue without their level of support. To prepare for the upcoming audit it was suggested the ITFP request a $12 to $15 donation from tree farmers. This was discussed by the committee, but tabled with no action. There’s a need for more representation on the Advisory Committee, with an aim to be able to bring the latest research for forest nursery stock. It was suggested that the administrator of the Tree Farm with the help of Janet Funk prepare a letter to request a position to sit on the Advisory Committee. If approved the ITFC will need to appoint a volunteer to sit on the committee. Dan Meyers said, they’re collecting Douglas Fir cones with seedlings with a grant with IFM at Boundary county. ITFC will work on the Roster for the 2018 year in January meeting. Inspector training will co-ordinate with Russ and Kurt. President Russ Hegedus adjourned the meeting at 11:34 a.m.
President Hegedus reviewed the Anti-trust Statement with the Committee. Doug Bradetich reviewed Q1 of 2017 Treasure’s Report. Sean Hammond moved and John Lillehaug seconded to approve the report as presented. The motion carried unanimously. Doug Bradetich moved and Sean Hammond seconded to approve the January Meeting Minutes without any corrections. The motion carried unanimously. Steve Cuvala gave the Treasurer’s Report and Doug Bradetich reviewed the 2017 Budget against actual income and expenditures as of April 10, 2017. All expenses are in line. Cash balance is currently $27,408.50 in the positive. Doug reminded the Committee of the motion passed at January’s meeting to set aside funds to prepare for the next audit, whenever that may be. The line item, “AFF/SFI Program Audit” on the 2017 Budget reflects that January motion, and shall be carried on to every year’s budget going forward. Sean Hammond moved to accept both the Treasurer’s Report and Budget as presented. Kurt Koetter seconded the motion and the motion carried unanimously. Mary Fritz updated the Committee on the latest developments to the Forest Action Plan. The Idaho Department of Lands (IDL) is considering contracting the plan out to garner assistance with its completion. Current goals include identifying priority areas in the state as well as opportunities on state, federal and private lands for work, awareness, and education. IDL has been working with a University of Idaho policy analysis group to create a survey which would help the U of I forestry extension program and ITFP be more efficient and farther reaching. The last survey of this kind was done in 1987. The proposed target audience would be non-industrial family forest landowners in Idaho – those who pay a fire assessment as reported to the IDL. The analysis group are in the process of deciding what exact information they’re wanting to know from the data and are working on questions to include in the survey. IDL will be meeting with Forest Stewardship Managers and Forest Legacy Managers the first week of June to focus implementing programs on federal levels. Meeting will include a field trip to Clagstone Property, Steve and Janet Funk’s property and stewardship tree farms to give the managers a view of all participatory involvement, such as ‘Ties to the Land’. Communications Chair Erin Bradetich updated the Committee on communication efforts with Tree Farmers. She and Doug Bradetich are currently working on the Spring Newsletter, which will touch on all of the Outstanding 2016 Awardees and ceremony, the Forestry Day at the Legislature, and the post card campaign. Those Tree Farmers who have an email will receive the Newsletter via Constant Contact. The Award Ceremony was well attended this year. Kurt and Sandy Koetter of Wood Wizard Tree Farm in Rathdrum won Outstanding Tree Farmer of the Year. The Outstanding Tree Farm Inspector this year is Private Forestry Specialist Chris Gerhart at ID Department of Lands in the Clearwater Area. Outstanding Logger of the Year went to John Kinne of Odenwald Forestry in Kootenai, ID. Communications Chair Erin Bradetich and Administrator Savannah Miller have sent out the second batch of the 50 oldest Tree Farm post cards. Each District Chair will be consulted prior to all future batch mailings to streamline decertifying/certifying those Tree Farmers who may have already contacted a Chairman or an Inspector. Steve Funk informed the Committee that he is finishing up paperwork to obtain 501(c)3 status, and will be sending it to the Bynum Group shortly. Any updates will be provided at the next meeting in July. American Forest Foundation (AFF) will be transferring Project Learning Tree (PLT) to either Arbor Day of SFI by June 2017, and an official announcement is expected by July. i. Required amount assigned and required already turned in. All required inspections have been assigned and almost all have been completed. District I has 7 left to complete, District II has 5 left to complete, and District III has completed all of their assignments. ii. Optional and Pioneer’s seeking Federal funds to get assistance. National has asked State Committees to evaluate and either certify or decertify the inventory of Pioneer inspections that we have in our state, and have offered grants to assist in bringing Pioneers up to Certified status. The Committee continues to discuss potential plans to complete these. Jim and Virginia Wood of Sandpoint (2016 Idaho Outstanding Tree Farmers of the Year), have made it as one of this area’s Regional Finalists for the Regional Outstanding Tree Farmer of the Year. A National Inspector will make a trip out to their property in May and will make their final decision for the running 1-2 weeks after the visit. Chair Russ Hegedus and Administrator Savannah Miller are in the process of drafting a Welcome Packet to new Tree Farmers. This packet will include a welcome letter and a certificate displaying their Tree Farm ID Number, Tree Farm Name/Owners, and the Inspecting Forester, signed and dated by the Chair. The welcome letter will also include an explanation of program benefits to the Landowner, such as education, recognition, and AFF representation. The final draft will be provided for consideration at the next Committee meeting in July. When completed and signed 004 forms are entered by the Administrator, confirmation of their entry into the database will be sent via email to the Inspecting Forester and Landowner (if they’ve provided an email). A physical letter will also be sent to the Landowner’s mailing address recognizing their tree farm’s re-certification to the updated standards. Tim Kyllo moved to form a sub-committee in charge of writing an SOP for inspections, data input and file retention. Doug Bradetich seconded the motion and the Committee approved unanimously. The sub-committee includes Tim Kyllo, Doug Bradetich and John Lillehaug. a. Next meeting date: Thursday July 20, 2017 at the U of I Extension Office in Coeur d’ Alene, ID at 9:30 a.m.
b. All are welcome to attend the Foresters for Southern Idaho Tour at the USFS Lucky Peak Nursery in Boise, ID on May 17, 2017. Idaho Tree Farm Program Donated $100 to Squaw Creek Soil Conservation District for the tour. A map to the property and invitation letter will be sent to Tree Farmers in July or early August. President Hegedus adjourned the meeting at 11:05 a.m.
John Lillehaug moved and Kurt Koetter seconded to approve the October Meeting Minutes without any corrections. The motion carried unanimously. a)	Steve Cuvala gave the Treasurer’s Report and Past Chair Bradetich reviewed the 2016 budget against actual income and expenditures as of December 31, 2016. Most expenses remained in line except for the Fall Field Tour that spent about $2,000 over the original estimate due to the surprisingly large group who attended the tour. Cash balance was $20,523.32 as of January 1, 2016. The 2016 Year-end balance and beginning balance as of January 1, 2017 was $28,662.68. The cash balance as of January 17, 2017 is $27,665.19. Sean Hammond moved to file both the December 31, 2016 and the January 17, 2017 Treasurers Reports for review. Tim Kyllo seconded the motion and the motion carried unanimously. b)	Doug Bradetich reviewed the proposal for the 2017 Budget. Kurt Koetter suggested setting aside funds to prepare for the next audit, whenever that may be. Doug added a line item, “AFF/SFI Program Audit” to the 2017 Budget which shall be carried on to every year’s budget going forward. Kurt Koetter moved to approve the budget draft with a preface that the amount of money set aside for the next audit will be determined based on whether the audit is a lump sum cost or to be split into annual payments. Steve Cuvala seconded and the motion unanimously passed. John Lillehaug suggested adding a line item of $100 for help with expenses at the Forestry for Southern Idaho tour. Janet moved to add that line item, Tim Kyllo seconded, and the motion unanimously carried. Jane Thornes was not able to attend the meeting in person, but provided information via email for the Committee’s consideration. They are currently setting up workshops for spring and summer. There are several workshops set up in southern Idaho. In the Coeur d’ Alene area, there will be an Early Childhood teacher workshop this spring; and in June and July they will be having 15 hour workshops on Early Childhood and ‘Walk in the Forest’. PLT continues to work with school districts to meet the needs of teachers. One way that they’re doing this is by trying to coordinate with teacher professional development days. Janet Funk reviewed latest updates from the Idaho Lands Resource Coordinating Council. Next meeting is on February 27th and 28th in Boise. A state umbrella collaborative group, the Idaho Forest Restoration Partnership (IFRP), is also meeting on March 1st and 2nd to discuss forest health improvements. Janet also relayed current news from the IDL, which are in the process of selling some of their buildings. New Communications Chair is Erin Bradetich, and she is currently working with the past Communications Chair to learn the Constant Contact Program. Also, she will be working with Doug Bradetich to produce an ITFP Newsletter in the spring. i. Vote for 2017 Idaho Outstanding Tree Farmer Inspector of the Year President Hegedus nominated Chris Gerhart, a private forestry specialist, to be the inspector of year. Andy Eckberg seconded that. The next 50 oldest Tree Farm post card notices will be sent out in February. Doug Bradetich moved and Steve Funk seconded to update the By-laws and other documents appropriately when and if required due to the implementation of officer’s new titles of ‘President’ and ‘Vice President’. The motion carried. As of January, Russ Hegedus is the President, Sean Hammond is the Vice President, Steve Cuvala remains Treasurer, Erin Bradetich is the new Communications Chair, and Dan Myers and Tom Bollacker are the new Tree Farmers at Large. i. Required inspections assigned and/or completed ITFP is off to a great start with all districts ahead of schedule on completing most or all of their required inspections. District I has all assigned and only eight left to complete. District II has all required assigned and one is complete. District III has completed all of their required inspections. National has asked State Committees to evaluate and either certify or decertify the inventory of Pioneer inspections that we have in our state. Currently Idaho has 14 to complete. This year ITFC will be represented by Steve & Janet Funk and also current Idaho Outstanding Tree Farmers of the Year – Kurt & Sandy Koetter. The ITFP meeting will include appetizers prior to the award presentations and business meeting. Also a dessert and wine social for the awardees following the meeting. Those interested in attending the Award Meeting and would like to stay at the Best Western University Inn are encouraged to reserve their accommodations before 2/27 to take advantage of the FFLC group rate discount. Those with questions about reserving a room may contact Savannah Miller. President Hegedus is working on the Annual Report and will submit it by March 15th to National. Steve Cuvala moved and Doug Bradetich seconded that the Committee provide a $300 gift card to Home Depot for the Fitchett’s to help cover costs as they rebuild their home. The motion carried unanimously. John Lillehaug also encouraged everyone in the group look into their photo history and see if they have any pictures of the Fitchett’s Tree Farmer of the Year Ceremony. d)Next ITFC Meeting Date The next meeting will be on April 20th, 2017 at a location to be decided. With some corrections, Doug Bradetich moved and Janet Funk seconded to approve the July Meeting Minutes. The motion carried unanimously. a. Treasurer Cuvala reviewed the latest Treasurer’s Report with the Committee. All expenses remain in line with budgeted amounts. Russ Hegedus moved and Madeline David seconded to approve the Treasurer’s Report. The motion carried unanimously. b. The Committee agreed that officer updates and contact information need to be available online as well as access to the latest Minutes, events and newsletters. Madeline David moved and Janet Funk seconded for the Administrator to learn the process of updating the current website to keep content up to date, and to utilize the funds from ITFC account to pay for such training. The motion carried unanimously. Jane Thornes reviewed the latest updates from PLT. From February to October, (19) workshops were offered for teachers working on professional development. Many teachers are aiming to incorporate more science into their curriculum. Jane reminded the Committee that during Forest Products Week (Oct 16th-22nd) the Idahoforests.org website was doing an essay contest until November 2nd, for ages K-12, offering cash prizes to winners. Janet Funk reviewed the Teachers Tour held in June, which hosted 43 teachers and included a tour of federal, industry, state and private lands. IDL gave a fire demonstration on the Funk property and teachers were able to socialize and see different tree species and Forester’s tools. Overall the tour was a success and the teacher feedback and evaluations were very positive. Janet Funk reviewed latest updates from the ILRCC. Next meeting is in Boise on February 27th and 28th. A state umbrella collaborative (Idaho Forest Resource Council) is also meeting on March 1st-2nd to discuss forest health improvements. ILRCC is now receiving all news and updates coming from the IDL, as well as the various activities that the IDL is participating in. Madeline David put out the newsletter, the invitation to the Teacher’s Tour and a notice to inspectors for nominations through Constant Contact. She advised that the ITFC is still under utilizing the outlet and recommended using it more to promote local State interests and needs. Madeline will be stepping down as Communications Chair and at this time the person to fill that vacancy is still to be decided. The Committee discussed storage of ITF documents, inspections and marketing materials and possible movement from the storage unit to a different location. After review of possible options, the Committee decided to continue renting the current storage unit to house all documents and materials. 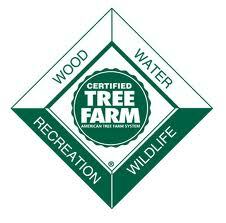 Five (5) Tree Farms are still needing inspected and entered into the database. All Tree Farms have been assigned to appropriate inspectors. Kirk and Madeline David re-sent 40 post card notices the first week of October with a deadline of October 26th for response. Those Tree Farmers who wish to stay in the program must have an assigned inspector out to review their property and update their farm to the current 2015-2020 standards. After the 26th, all those who haven’t responded will be put on a list for decertification. Paper files of those Tree Farms that are decertified shall be kept in a designated ‘decertified’ box to be destroyed after two years. The next batch of 50 post card notices will be sent out in early January. Chair Funk had to apply for a new EIN from the IRS. He’s started the process for the Articles of Incorporation with the Bynum Group. Due to this new status, changes will be implemented regarding officer titles, such as: Chairman and Vice Chairman will be changed to President and Vice President respectively. Kurt Koetter moved and Russ Hegedus seconded to update By-laws and other documents appropriately when and if required. The motion carried. Doug Bradetich reviewed the Idaho Tree Farm Tour, which hosted over 120 attendees plus the Wood Family for a total of about 180 people. The tour went over budget by about twothousand dollars, but everyone was fed well and had a great time socializing and engaging in Tree Farm education. Senator Sage Dixon attended for a short period of time and overall this was a wonderful event with fantastic turnout. Doug Bradetich reviewed the latest update of the Idaho One Plan Template, Stewardship and the NRCSS. Mary Fritz incorporated the latest feedback from the group and the Template should be ready for posted for viewing before the ITFC meeting in January. i.	Kirk David relayed the TFOY nomination by Sean Hammond for Kurt and Sandra Koetter. The Executive Committee did a field inspection on the Koetter Tree Farm and examined their plan. The Committee were all in favor on nominating Kurt and Sandra Koetter for 2017 TFOY. ii. After much group discussion concerning nominees for the Logger of the Year award, Chair Funk asked the Committee to vote. Nine (9) counts were in favor of John Kinne, officially making him the decided nominee. John Kinne has had committee involvement, shown service to the logging committee and demonstrated promotional activity to the ITFP. Andy Eckberg and Russ Hegedus will follow up with the Wood family to see if they are still interested in working towards the Regional nomination. Janet Funk moved and Andy Eckberg seconded that Russ Hegedus be appointed ITFC President starting January 1, 2017 for the next two consecutive year period. The motion carried unanimously. There are a few interested for the position of Vice President, however, the seat will remain open at this time until there is a firm agreement from a candidate to step in. Janet Funk moved and Russ Hegedus seconded the motion for Steve Cuvala to serve as Treasurer for one more year. The motion carried unanimously. Russ Hegedus appointed Andy Eckberg as District I Chair, Tim Schaffer as District II Chair, and John Lillehaug as District III Chair for the next consecutive two year term. Hegedus also appointed Kurt Koetter as a Tree-Farmer-at-Large and is considering Tom Bollacker as a potential option. The Committee approved the appointments. The conference will be attended by Steve and Janet Funk and Kurt and Sandra Koetter. The Committee will most likely need to pay for only one registration as two registrations are always sponsored by National and a third registration is usually covered for a first timer, which Kurt qualifies as. Savannah Miller will hear from National in regard to the third registration being covered after December 15th. Steve Funk has already applied for grants from National to help with additional travel costs. 11. Deadlines for: 2017 ITFC Roster to ATFS; 2016 Annual Reports to ATFS (3/15/17) Roster will be completed as soon as a Vice President is nominated and elected. Russ Hegedus will have the Annual Report turned in by 3/15/17. Janet Funk reminded the Committee that ATFS is celebrating their 75th Anniversary this year and will be having an award ceremony on Capitol Hill in December with the National Tree Farmer winners. ITFC’s next meeting date will be on Thursday, January 19, 2017, at a location still to be decided. Chair Funk adjourned the meeting at 11:48 p.m.